Horchata is a traditional Spanish or Latin American beverage, known by the Mayans and Aztecs as the ‘drink of the gods’ and quite frankly it is! 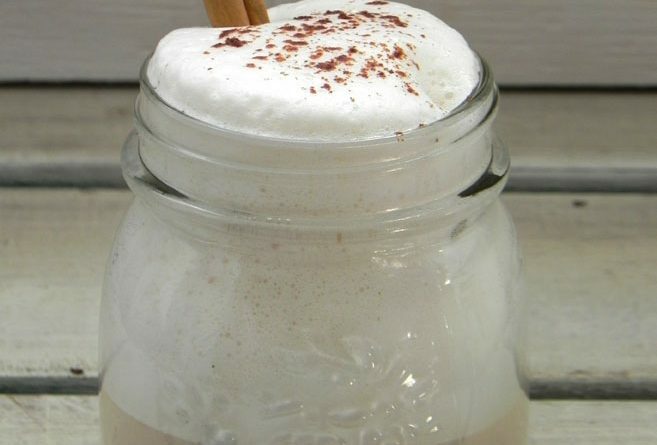 While Horchata can be enjoyed as a summer drink, it is far nicer served hot when the chill of Autumn hits and Christmas nears. 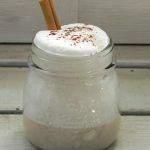 This dairy free wonder drink is made from soaked nuts and/or rice and seasoned with cinnamon, so it’s the perfect, creamy Vegan cocktail option. Plus you can’t go wrong by adding a glug or two of rum (or Vodka or even Kahlua) for a truly indulgent tipple that’ll warm your socks off. We of course love to add an espresso shot into the mix too (well..what did you expect!?). Making homemade Horchata is nice and easy, although it does require a bit of forward planning, leaving mixture to soak overnight to get the very best taste but it’ll be worth it, we promise you. Enjoy! 1/4 cup rum or add to taste! First grind up your rice and cinnamon – we used a coffee grinder. 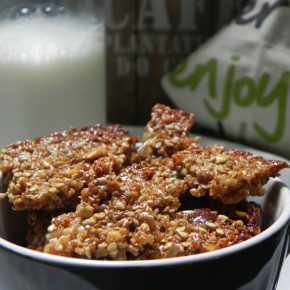 In a large bowl combine your almonds, ground cinnamon and rice with 1/2 litre warm water. Add the cinnamon stick to the bowl and cover and then place in the refrigerator for 8 to 12 hours. 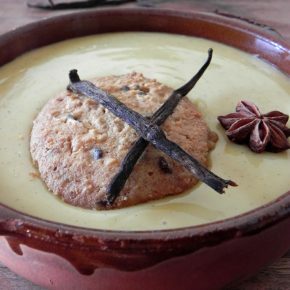 Remove the bowl from the refrigerator and remove the cinnamon stick. Then in a food processor blend the mixture for 2 to 3 minutes on high speed, or until you’ve got the mixture as smooth as possible. Add the honey and the other 1/2 litre of water and blend again for 2 more minutes, or again until the mixture is as smooth as possible. Pour the horchata into a pan and heat at medium heat for 5 minutes, until warm. 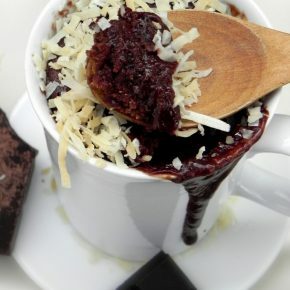 Add a few glugs of lovely Rum and serve with a touch of cinnamon powder sprinkled on top. Yum!